Unique up-cycled vintage bead bracelet. Perfect for someone who doesn’t want to sacrifice style for ethics – this is ethical jewellery with panache and history! Unique up-cycled vintage bead bracelet. Perfect for someone who doesn’t want to sacrifice style for ethics – this is ethical jewellery with panache and history! 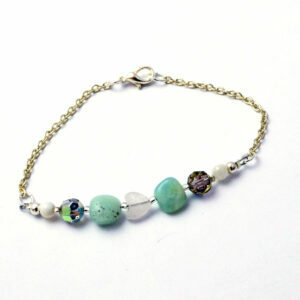 Handmade with vintage synthetic beads in green and peach (mid 20th Century). 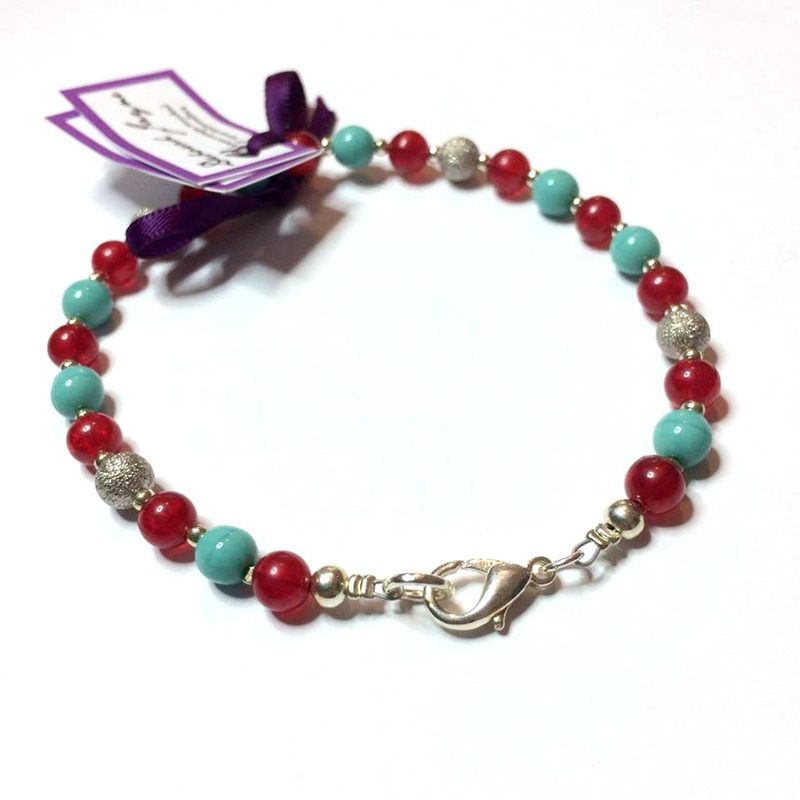 Also with silver plated spacer beads. Threaded on stretchy elastic. 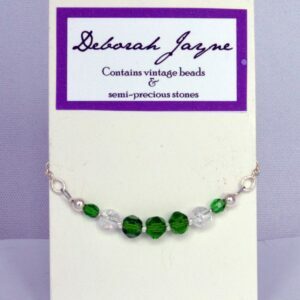 All Deborah Jayne jewellery will arrive stylishly & ethically packaged.